Various countries in the world’s most oil-dependent region, the Middle East, have started to look above ground for generating energy to diversify away from their primary below-ground energy source. 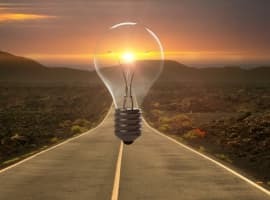 Saudi Arabia, the United Arab Emirates (UAE), and Oman, to name a few, have set some ambitious goals to boost the construction of clean energy facilities and the use of renewables in their energy mix in the long term. As global solar and wind costs continue to drop and make those energy solutions increasingly competitive, the Middle East is expected to continue to move ahead with renewable projects this year, according to UAE’s outlet The National. Globally, the levelized cost of electricity from solar PV, which is now nearly a quarter of what it was in 2009, is expected to slide by another 66 percent by 2040, Bloomberg New Energy Finance (BNEF) said in a report in June 2017. 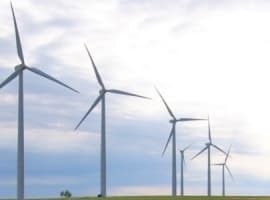 Offshore wind costs are seen dropping by 71 percent, while onshore wind costs are expected to decline by 47 percent by 2040. Saudi Arabia has its National Renewable Energy Program, aiming to boost the share of renewables in the energy mix, and targeting the generation of 3.45 gigawatts (GW) of renewable energy by 2020, which would represent around 4 percent of generation capacity. By 2023, the Saudi target is 9.5 GW, which would be 10 percent of generation capacity. Saudi Arabia also aims to tender the construction of its first civilian nuclear project in 2018, and will soon initiate talks with the U.S. administration about the participation of U.S. nuclear energy companies in the project, Saudi Energy Minister Khalid al-Falih said last month. 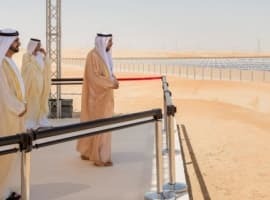 The UAE plans to invest $163 billion in renewables and hopes to have by 2050 a total 44 percent of energy needs provided by renewables, 38 percent by gas, 12 percent from cleaner fossil fuel, and 6 percent from nuclear energy. Oman’s National Energy Strategy to 2040 recommends that some 10 percent of Oman’s generation mix should come from renewable energy sources—primarily onshore wind and solar—by 2025. “Saudi Arabia is the sort of later entrant to this reality but it’s a big volume and this will be the most exciting,” Paddy Padmanathan, chief executive at Riyadh-based power and water developer Acwa Power, told The National. 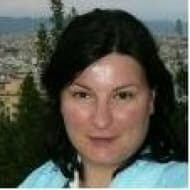 “Dubai will continue to accelerate its deployment, Abu Dhabi will get into the act, you see that Jordan is doing more. Oman is a new entrant coming in 2018 into renewables,” Padmanathan added. The following month, Saudi Arabia received the cheapest solar electricity offer ever recorded for a 300-MW solar plant, from UAE-owned Masdar and EDF: just 1.79 cents per kW/h. Analysts, however, doubt that this remarkably low price can be sustainable and think that the actual costs will be higher. “There is great pressure in the Middle East to come up with an impressive headline number, and these are becoming increasingly divorced from the reality of payments,” Jenny Chase, chief solar analyst for BNEF, told Bloomberg. The first- and second-place bidders for the Saudi project are government-backed, and analysts think that the bids might be more about publicity rather than profitable project offers. “What most people suspect, including us, is that there is some sort of subsidy, either direct or indirect, within the PPA that makes this price possible,” according to Benjamin Attia, an analyst in global solar markets at GTM Research. “Or they’re going to lose money on it,” Attia noted. Analysts and industry observers think that the headline-grabbing lowest solar price ever could backfire by discouraging competition in future tenders and discourage private sector investment. Meanwhile, Saudi Arabia and its Persian Gulf allies and foes are coordinating an oil supply restriction, hoping to erase the global glut and lift oil prices. One of the likely reasons for this is to have more fossil fuels for export since they will not be needed for electric generation.